In November I attended the BitsEvent, mainly known for its retrogames area. 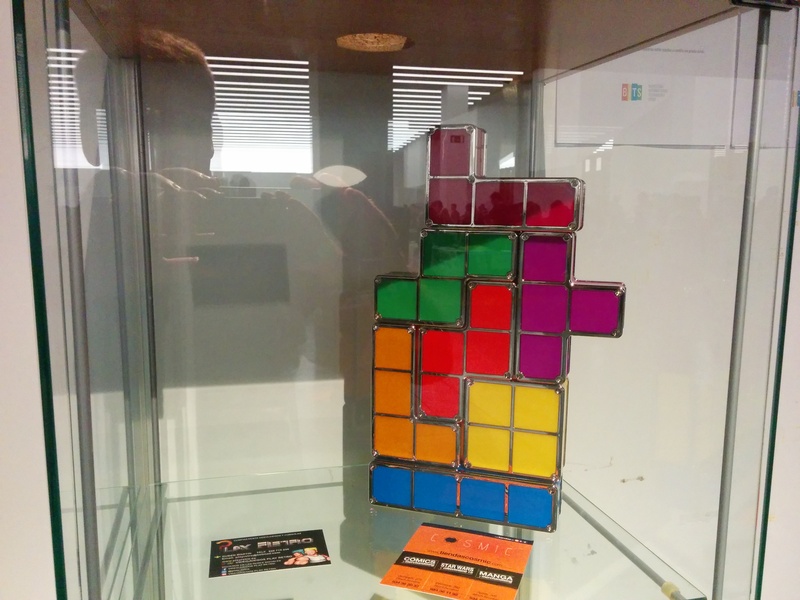 I saw an interesting Tetris composition, as decoration for home or maybe to play with. And I thought, yep, I can design and 3dprint one for me!! So once I finally changed my nozzle for an all-metal, I put hands on. 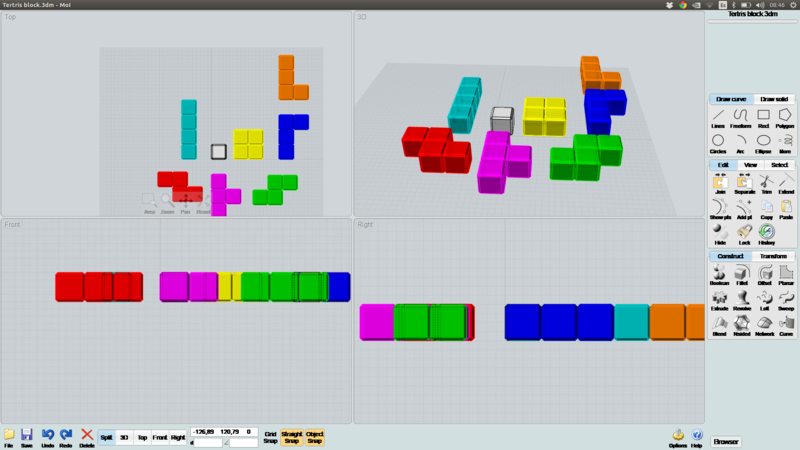 First I designed the different pieces of the tetris. I based model on the official website. And decided to go for a 2 cm side cube as the building block. With MOI (Moment of Inspiration) it was really easy. 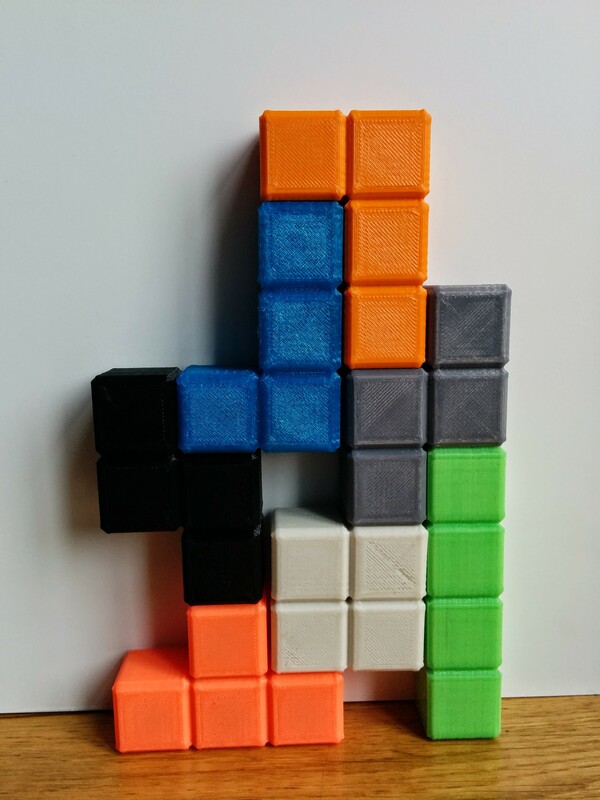 I built the base cube, chamfer it and then started piling them to build the different patterns. Array function works like a charm for this. As the end result I got this. 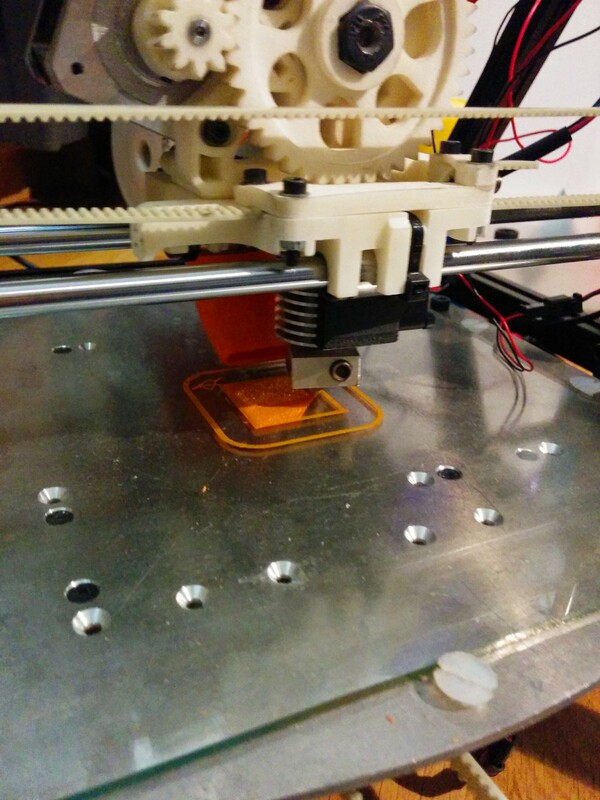 And then it was time to squeeze my 3dprinter!!! I did not have all the colours needed, but I had samples from different businesses that I had for testing (RedResins and 3DFilamentos). So used those to at least make different colors. It will be nice to get the original colors, but it is not my case. 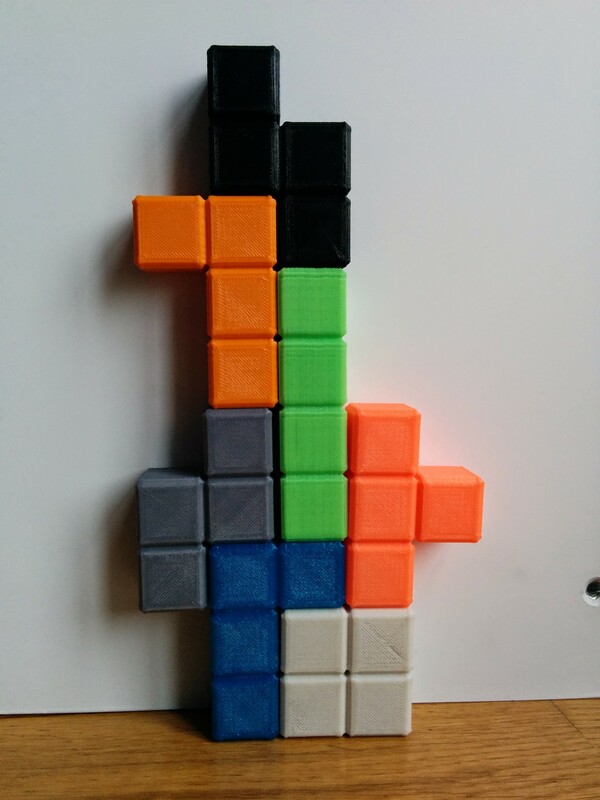 White, grey and black are not in the Tetris palette which follows the typical eight color palette that we had in the 8-bit computers: green, red, cyan, magenta, blue, yellow, orange. The result is really nice. You can play with it and organize into different shapes, or game states. A good option to continue with this project is to build some sort of enclosure so it gets more stability to use it as a decoration object at home. And as a geeky thing people coming to visit can play with! !